We’re thrilled to be offering a unique three-day workshop; from May 16-20, 2018, for pastelists this year with artist Christine Ivers. Join her and us to work on nightscapes with pastels. Want to know a little more about Christine and her approach to art? Read on down for her responses to our five question interview series! CI: I owned and operated a full service ad agency for many years and when everything crashed in 2008, I lost the business. The only thing I knew how to do was draw. I cleared my office and made a studio and put a sign out in front to teach art lessons. It all expanded from there. CI: I work on a few pieces at the same time. As we all know when you hit the “miserable middles” you usually want to walk away. When I have a few things in progress I can go to another piece and view it with a fresh eye and usually resolve a problem that was causing me to walk away from that one! CI: Having been a Creative Director for so many years, I am constantly looking for inspiration around me. My “sketchbook” has always been a camera and I compose through it’s lens. I usually carry a small point and shoot and the iPhone, so when something interesting strikes me I can immediately record it and store it for future use. CI: The world around me. Everywhere I go, everything I see, the people I meet, and the journey that lies ahead are always my motivations. CI: Since I was a business woman with a pretty successful ad agency, I was used to the risks that I took for the 40+ years that I worked in that unstable industry (advertising). I mortgaged my house to do that and successfully paid it off, so starting from scratch in another unstable industry (the fine art world) was just another challenge. Since I knew that I had to somehow making a living at this second career in my life, I put together a business plan just as I had for the ad agency. It is a sad statistic that 95% of all start ups fail in the first five years. I knew that. So I was determined to set reasonable goals for yourself you can get there. It’s tough (I went from making a six figure salary to making $15k the first year after I lost the agency) but somehow I managed to build a base of students and with the help of two incredibly generous friends, Claudia Seymour and Richard McKinley, I was guided through the world of today’s fine art world. So this is my second career and business. Looking back I would have it no other way. 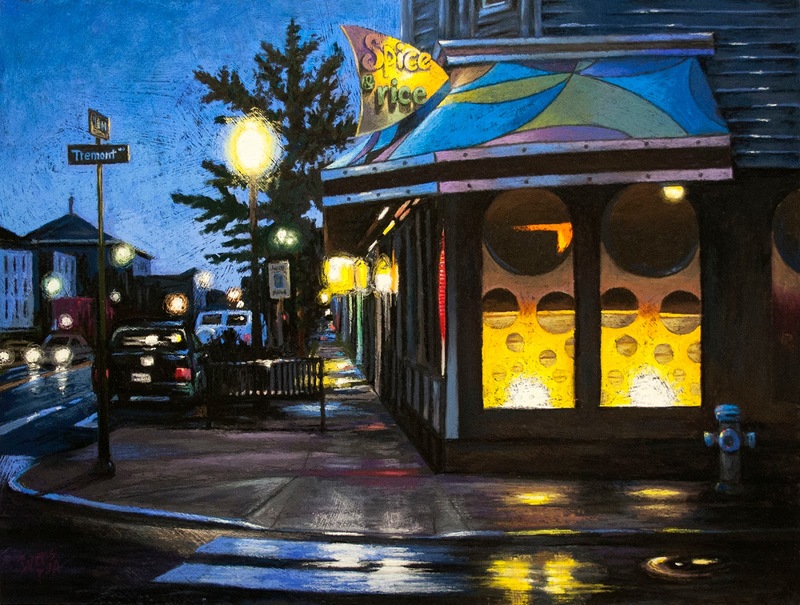 Learn more about Christine’s Nightscapes in Pastel Workshop with us here. Find out more about Christine on her website and give her a follow over on Facebook.